This truly epic scene by Chris Maddison is awesome! I love the Disney movie Sword and the Stone and Chris’ version of it is simply perfect. Now before I start my review, I have to post this disclaimer — If you’ve been reading me for a while you’ve probably figured out that I’m not a Technic builder. Never really have been and most likely never really will be. 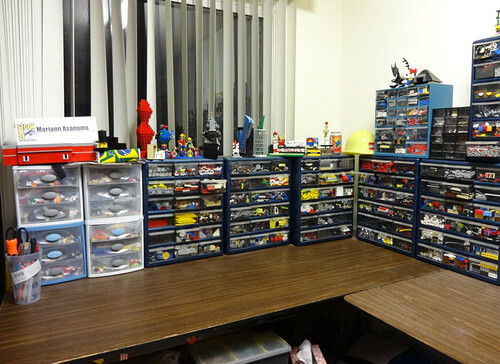 Sure I use Technic parts all the time. 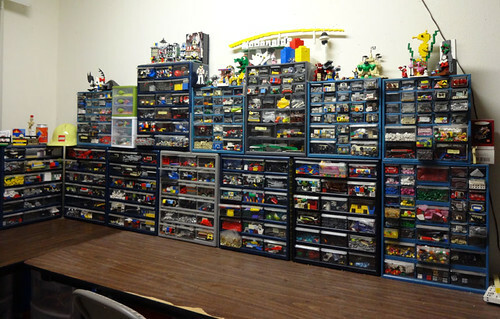 But I almost never build exclusively in Technic and with the exception of the new jewelry display racks I designed a couple months ago I hardly ever think about building with Technic exclusively. I would like to thank No Starch Press for providing me with a copy of this book so that I could review it. My first impression as I thumbed through this book that it was very, very in depth but at the same time it was very wordy. 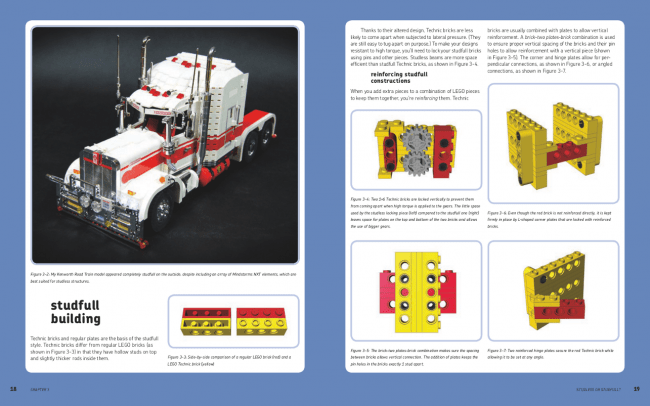 Now I get that Technic guys usually are engineers in training (or professional ones when they grow up) but even so, this book had almost way too many words. I suppose it comes from me being more on the artistic side rather than the engineering side, but I’m much more of a visual learner. Don’t get me wrong, there are plenty of pictures in the book as well. Even if I am not a Technic builder, I know all the basic fundamentals. 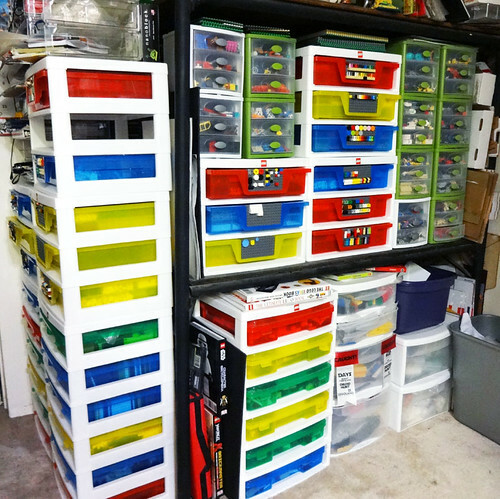 I’ve built my share of Technic models over the years, and as I said, I use the elements all the time and I am fairly versed in their uses. 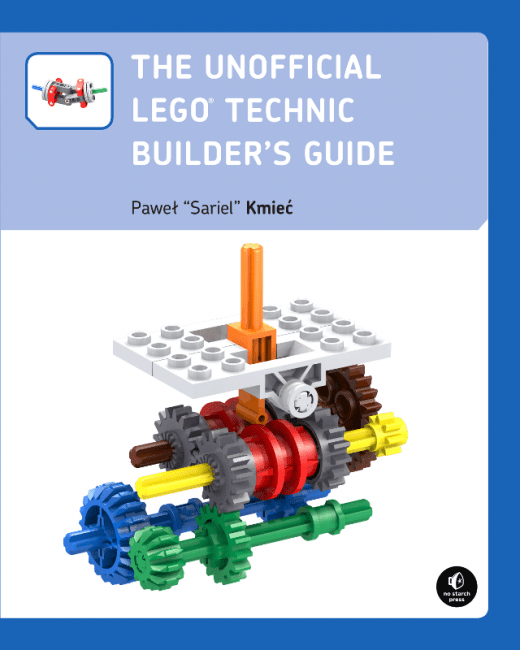 So looking over this book (without fully reading it I must admit) I can tell that it really does show pretty much everything you need to know about how to do all the basics for practically every Technic technique out there. What this book is invaluable for is for learning all the basics without having to figure them out by yourself. Learning how to create a properly working pneumatic system or a gear shift without all the trial and error is awesome. I see this as a very valuable tool for those that are just starting to forge the waters that are Technic models. Someone who loves all things mechanical and wants to know how they work. 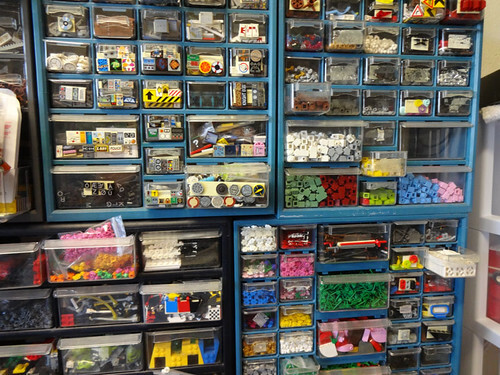 I do recommend it for the burgeoning Technic builder out there or even those like me who have been building for a long time but who don’t know all the basic Technic do’s and don’ts. 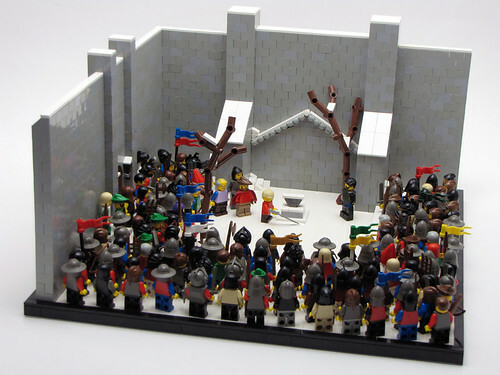 The frame mainly consists of black brick, technic bricks, and minifig jousting sticks. 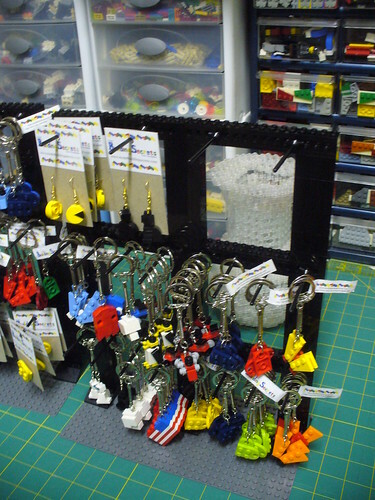 If you are interested in purchasing any of my LEGO models and can’t make it to Bricks by the Bay you can check them out at my Folded Fancy Creations Etsy shop. 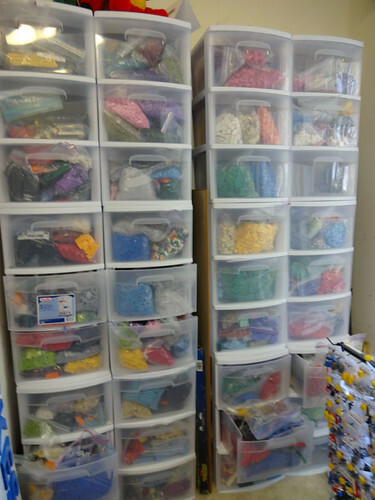 I mentioned earlier about the Brand Ribbon Models for the LEGO Store that my LUG (LEGO User Group) was asked to build for the new Costa Mesa LEGO Store. 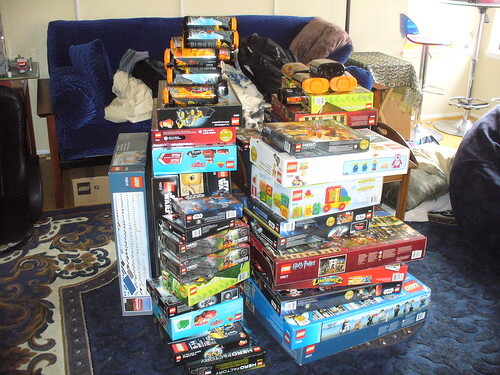 Well imagine my surprise when I got three huge boxes last week that was filled with LEGO sets! Man, when I got all these models it was like Christmas! 66 sets were sent to my house and at first I didn’t know why they had sent them to me, but then a quick conversation with the new LEGO store manager I found out that they were all the sets on display. And it wasn’t just small sets — Ultimate Collector Imperial Shuttle, Harry Potter Diagon Alley, and the Tower Bridge were also included. 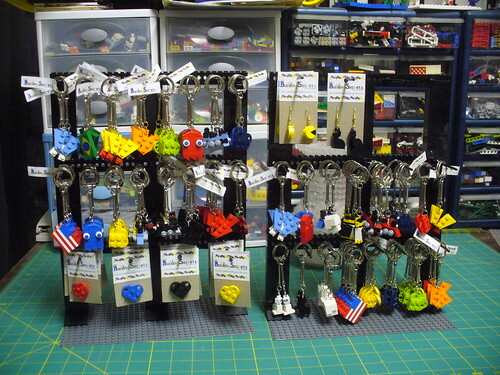 We’ll be setting all of these models up at the store this Sunday and then next weekend is the Grand Opening! Help a real LEGO Master Builder construct an 8-foot tall LEGO Yoda during our 3-day Grand Opening Celebration weekend! You’ll get a free LEGO Star Wars Certificate of Achievement for helping, while supplies last! 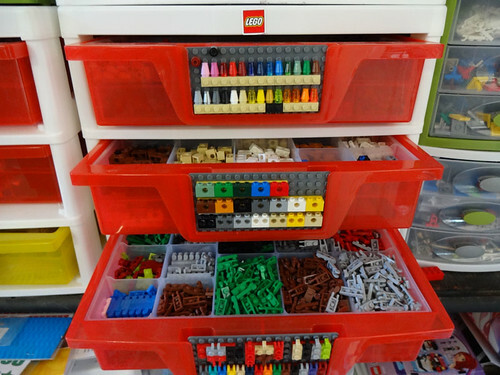 Plus, visit the LEGO Store during the event to enter for a chance to win a $50 LEGO Store Gift Card! No purhcase necessary to enter. In the same vein of the Eiffel Tower and the Taj Mahal the 10214 Tower Bridge promises to be a great addition to the large scale building series. This model is teaming with lots of small details and new elements, the most notable in my mind as well as many others is the Tan cheese slopes! Up until this set cheese slopes in tan (which come in virtually every other color) have been but only a much requested dream element of LEGO fans. But of course its not just the cheese slopes. There are multiples of tiles, technic wheels, windows, and if I am not mistaken (which I might be 😉 ) baseplates in medium blue. 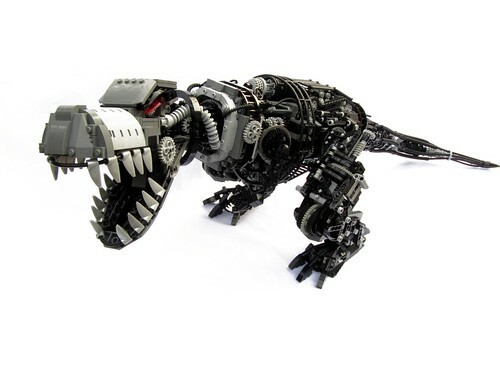 Although there is no official word, with the part count at over four thousand pieces this will not be a cheap set. It will most likely be in the $300 range like the two previous Building sets. 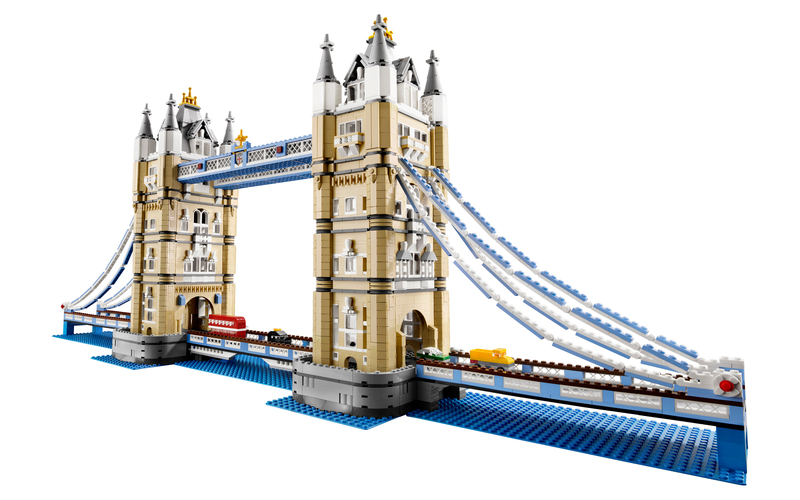 The Tower Bridge is slated to be available this October, at least from what I can find on BrickSet. 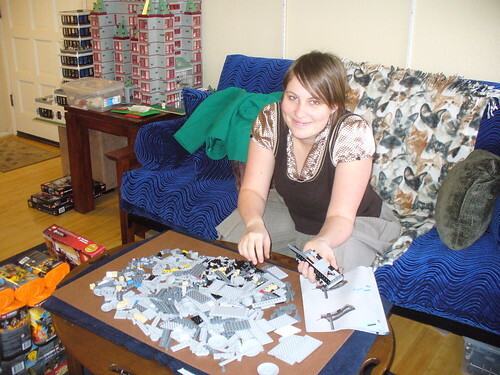 There is also a forum on Eurobricks discussing the set. 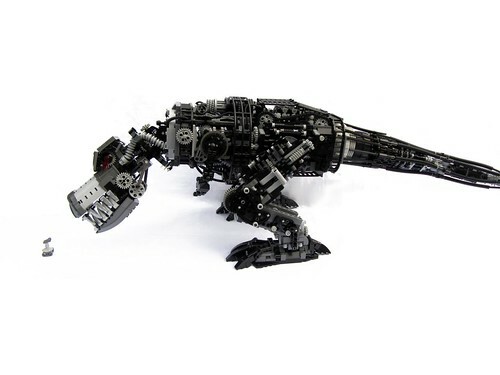 Alyse or Remi aka Bolt of Blue (I’m not sure which) created this crazy articulated reptile. My first attempt at gear-based articulation joints. I don’t think I could have chosen a more difficult shape! He stands, barely. There’s 5 articulation points in the legs, but trying to extend the legs at all just busts axles. Dude needs to shed some pounds. 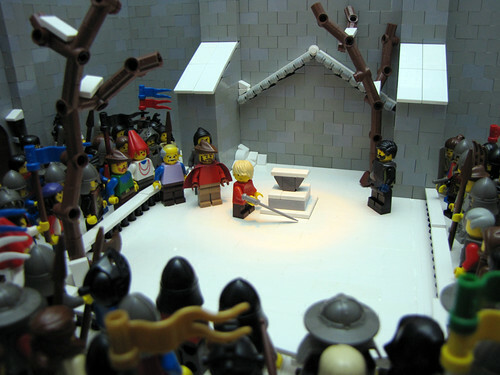 At a recent sponsored event in Russia called Festival Rossiyskogo Fan Forum LEGO Alexander posted pictures of some of the 2010 sets that LEGO displayed. 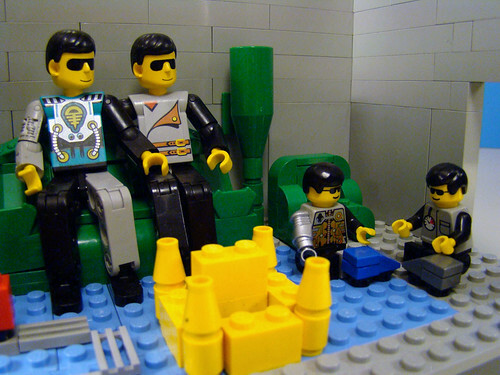 My only problem with this scene is it brings up my constant gripe about LEGO being geared for boys. There has never been a Technic girl figure and I have always wondered why. I’m sure I would have paid more attention to Technic sets as a child if there had been a female figure to play with. And I’m sorry, but Belville and Scala just doesn’t cut it with me. They never have. The only thing good about them is all the accessories that were produced because of them. Okay, gripe over. 😀 Good job David!